Vancouver is the next destination in Donald Trump&apos;s collection of luxury hotels. 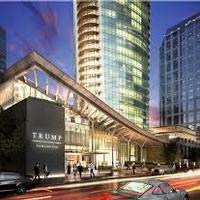 Donald&apos;s new $360-million hotel is scheduled to open in Vancouver in fall 2016 at a coveted location on Georgia Street in the heart of downtown. Designed by late Vancouver architect Arthur Erickson, the 63-story structure will be the second tallest in Vancouver, featuring 147 guestrooms. Amid the hotel&apos;s myriad amenities are 15,000 square feet of state-of-the-art meeting space, a fine dining restaurant and swanky champagne lounge, and a Mar-a-Lago Spa (Vancouver&apos;s first pool-bar-nightclub). • Parq - a new LEED Gold "urban resort" with two hotels and eight restaurants opening December 2016. Scheduled to open in December 2016 adjacent to BC Place (B.C.&apos;s biggest sports stadium) is a new $600-million-dollar hotel complex called Parq, featuring a JW Marriott Hotel, a boutique hotel called The Douglas, six full-service restaurants and two lounges, a 30,000 square foot elevated park, gaming, and the largest hotel ballroom in Vancouver. The complex will have a total of 466 rooms and 51 suites (329 rooms at the JW Marriott and 188 rooms at The Douglas). Parq will be the only LEED Gold hotel complex in Vancouver. • Rosewood Hotel Georgia: This historic hotel that was completely renovated in 2011 is debuting the Rosewood Royal Suite - a four-bedroom, five-bathroom suite on the 45th floor of the hotel&apos;s adjoining residences. The suite includes a 3,700-square-foot kitchen, media room and balcony, as well as a wardrobe consultant and optional in-suite private chef. • Fairmont Pacific Rim: The hotel has launched a new 35-minute art podcast tour that highlights the exterior and interior public art within the hotel, allowing guests to explore the public art and architectural detail of the property. Priority has been placed on showcasing the best of local Vancouver artists while ensuring international and commissioned works are prominent. 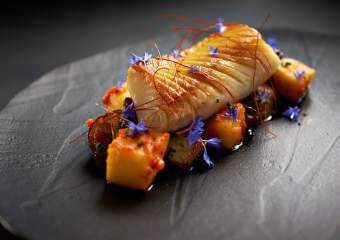 •	Four Seasons Vancouver: The Four Seasons Vancouver hotel has launched in-room dining... for dogs. The menu, which is prepared by the hotel chef, includes dishes such as beef bone ($8 CAD), Canine Classic (chicken or salmon with sweet potatoes and rice, $11), Chow Hound (a 6-oz steak, $18) and Hot Diggity dog (sausage, $9). The pet-friendly hotel has long offered complimentary cozy dog beds, bowls and homemade bones. Click here to see the menu. • Comfort Inn Downtown Vancouver: The hotel has launched the new Belmont Bar on Granville Street offering craft beers and specialty cocktails. Décor features industrial elements and copper finishes. 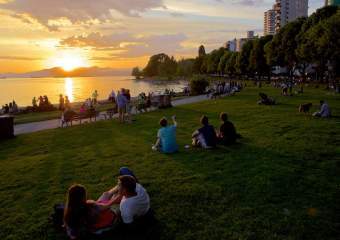 • The Burrard: Vancouver&apos;s hippest motor-inn, located in downtown Vancouver, has just upgraded their courtyard with a ping-pong table and fire pit. For more details, click here. • The Century Plaza Hotel and Spa: Recently debuted their new steak restaurant, C Prime. 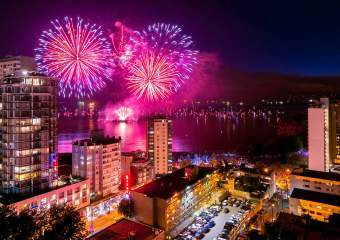 • Vancouver Marriott Downtown: Completed a $420,000 renovation of two premium suites, the M Suite (1,495 square feet) and the Bravo Suite (690 square feet). For images, click here. • Pan Pacific Vancouver: Underwent a major renovation of all meeting spaces (42,000 square feet.) There have been updates of carpeting and the installation of state-of-the-art audio visual technology. Updating all 503 guestrooms will occur in Phase Two which will begin in Fall of 2015 and be completed in early 2016. • Sheraton Wall Centre: Completed a full renovation of the North Tower guestrooms and will soon embark on a full renovation of the South Tower guestrooms, suites and restaurant (completion date: March 2016). Total renovation budget is $37 million dollars. For images, click here. • Executive Hotel Le Soleil: Currently renovating the penthouse suite (completion date: spring 2016) and installing new carpeting, lamps, beds and fiber optic connectivity in all rooms. • St. Regis Hotel: Currently upgrading all beds with new mattresses, pillows and bed skirts, as well as improving entertainment options with HD TVs up to 50" (depending upon room category). The standard for in-room amenities is also being raised with the arrival of products by L&apos;Occitane en Provence in every room. 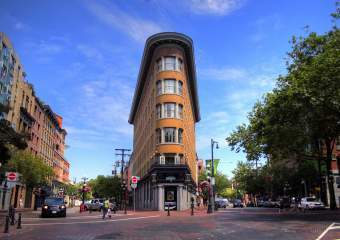 • West End Guest House: The colourful bed-and-breakfast is now under new ownership and has completed a top-to-bottom renovation with a $200,000 price tag. 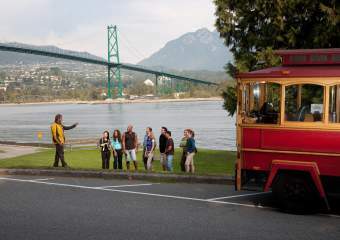 • The Fairmont Waterfront: Following a $12 million renovation, Fairmont Waterfront is ready to strut her stuff! Vancouver based design firm B+H Chil Design, created a fresh look and breezy attitutde for guestrooms, Fairmont Gold, and a new contemporary eatery and lounge.